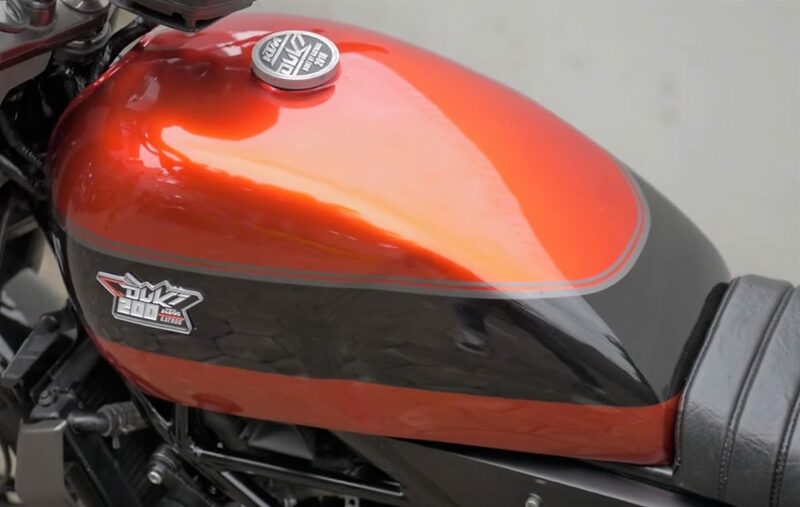 Customized KTM Duke 200 by Atenx Katros: There have been multiple customizations of the crowd favourite 200cc Duke but this time, we have actually came across something exceptionally out of the box that is exquisite enough to amaze your mind. 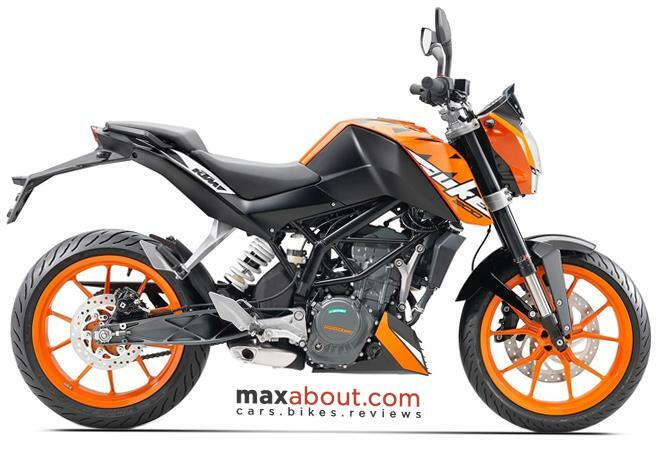 Yes, we are talking about the new customized KTM Duke 200 from Indonesia. The customization is something totally out of the charts here. 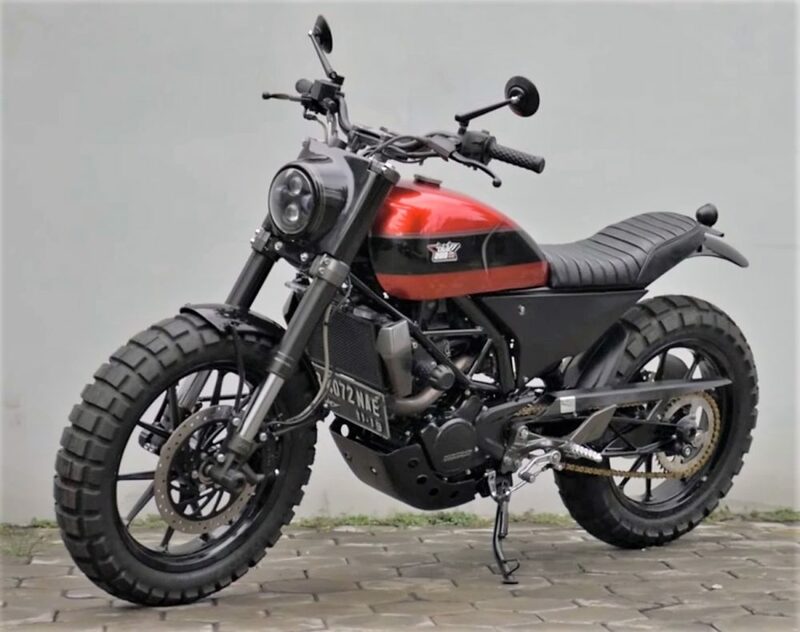 It has been seen with a complete shed off of its naked look to give it a more retro-inspired design and trust us, it looks actually splendid. 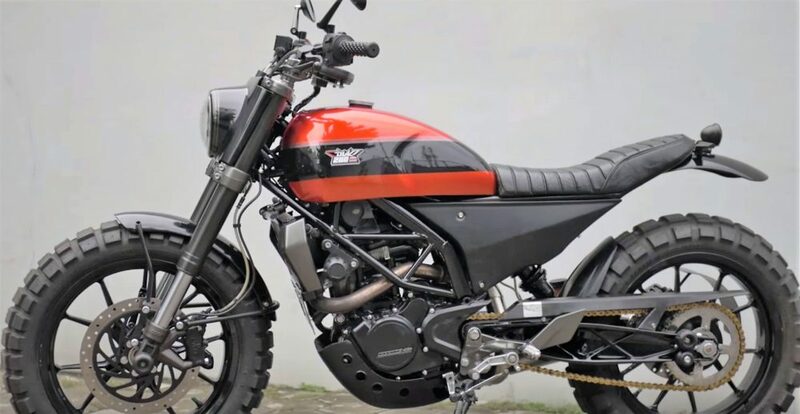 The body panels of the aggressive naked KTM Duke 200 has been replaced with a certain neo-retro design that are actually hand built. 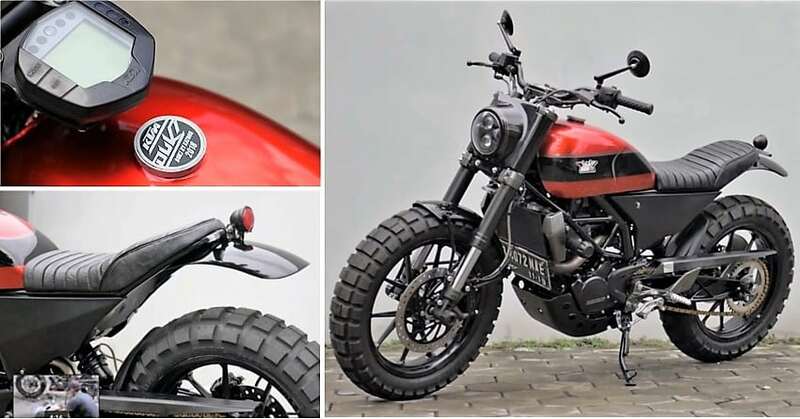 The major customizations include forging a rather round headlight with LED fixtures and a dual paint scheme on the fuel tank to give it a olde worlde look. 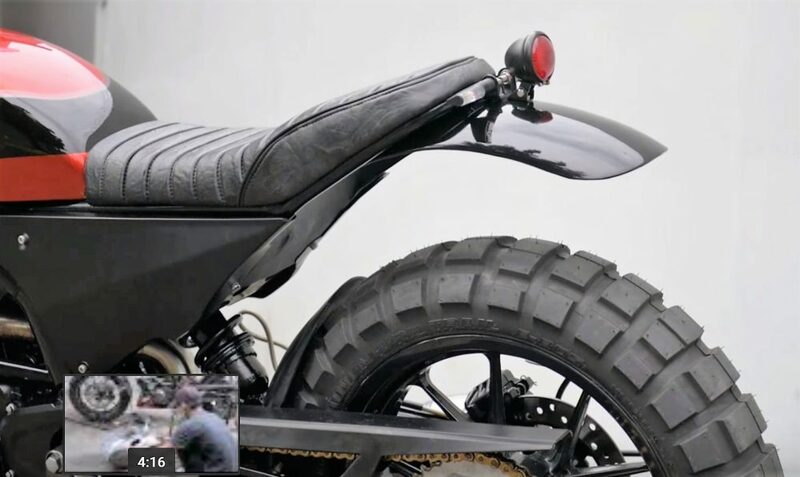 You can see the split set being replaced by an out of the ordinary single-piece saddle. 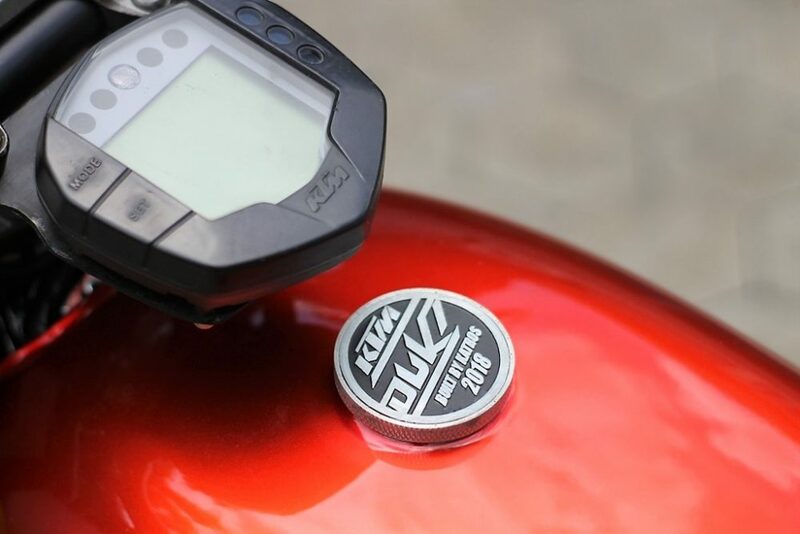 A towering rear fender was the first accommodation to the Duke 200 followed by a neat tail-light. 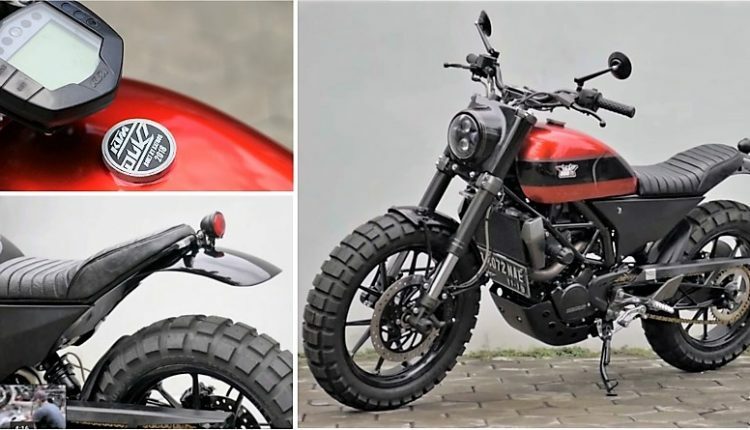 Custom badges and stickers were put into place strategically and the under belly engine guard got a new peculiar look. 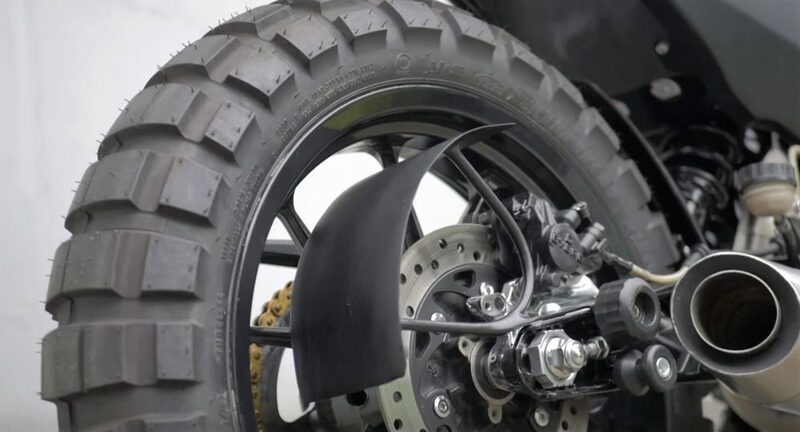 Wider set of dual-purpose tyres were seen on the customized motorcycle that were capable of adding to it on-road power essentially. You can see the trellis frame being scraped to accommodate the new fascia. 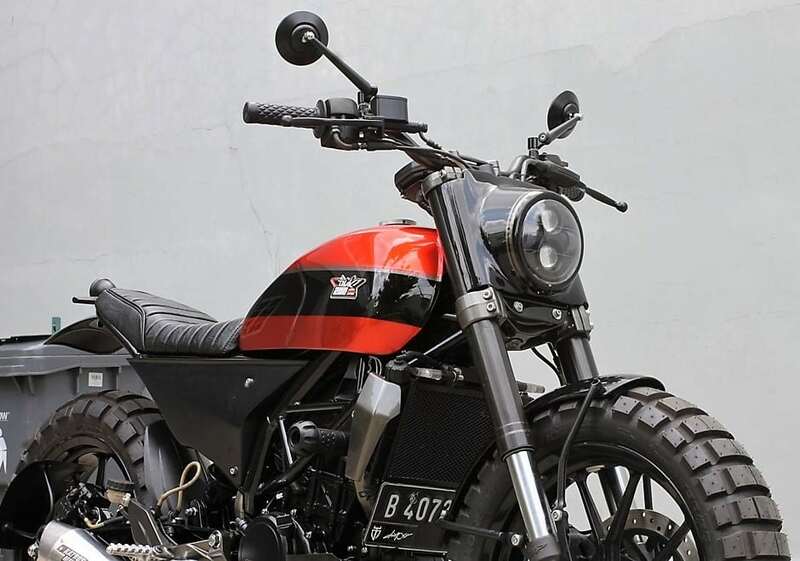 The last step and the most intriguing was the custom paint job it received. 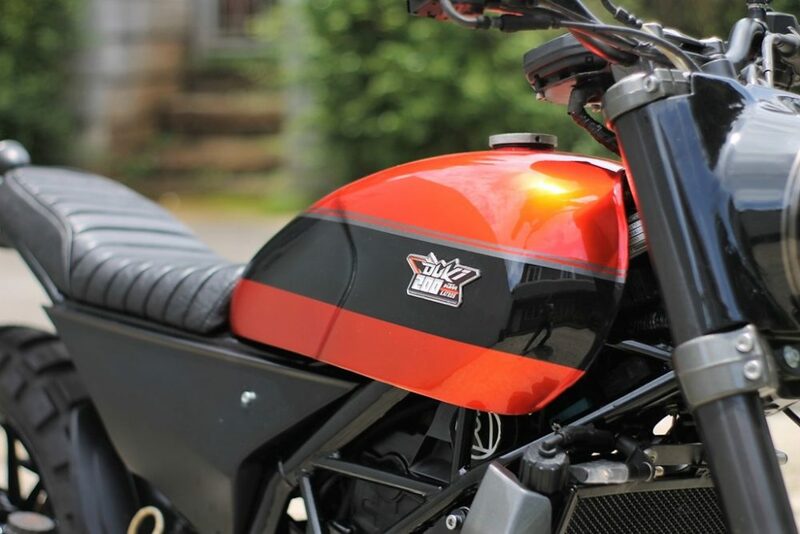 The fuel tank was painted metallic red with a striking black stripe across the border. They have skipped the orange pin-striping on the wheels and have the custom badges installed. 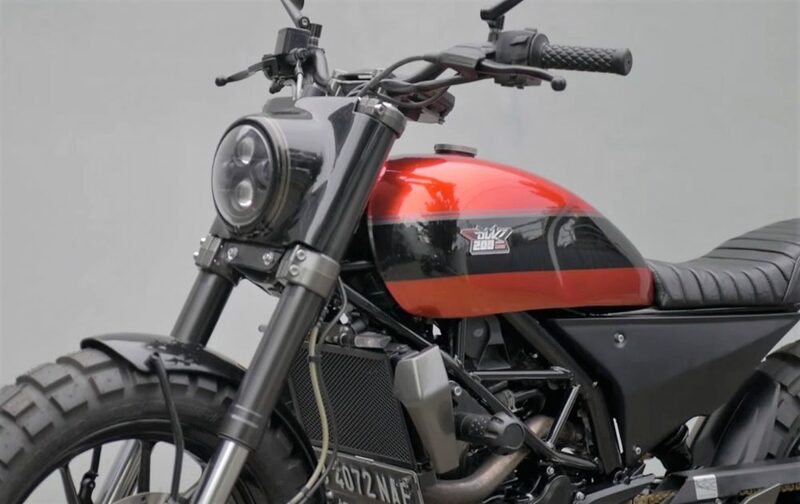 There was no specification of any advancements to the engine which means the customized motorcycle is powered by 200cc single-cylinder engine that is capable of delivering a maximum power of 25 HP @ 10,000 rpm and an utmost torque of 19.2 NM @ 8,000 rpm. The engine comes mated to a 6-speed gearbox.